The post Slow Motion: Flintlock Musket vs. 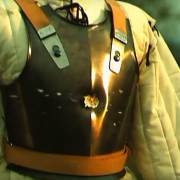 Plate Armour appeared first on The Firearm Blog. The crazy slingshot-loving German is back, and he’s up to his old tricks. Doing weird stuff with slingshots, that is! And this time he’s stumbled onto something pretty sweet. Take a dart — you know, like the ones used in pub games — and throw it sideways, and it aligns itself during flight, because the tip is so much heavier than the vanes in the rear. So why not do the same with a slingshot? It works pretty well, burying the tips deep in solid wood from 15 meters. But is he satisfied? Nah. So, he built a crossbow for shooting darts! With a red dot scope, of course. And it works pretty slick, too. Is he satisfied? Of course not! So he conjures up a repeating crossbow to fling darts. The post Watch: Shooting Pub Darts With Slingshot and Crossbows appeared first on AllOutdoor.com. Police said a witness to the stabbing incident retrieved an AR-15 rifle from their home and stopped the attacker “with only a threat of force.” The witness had both a valid firearm owner’s ID card and a concealed carry permit, according to the sheriff’s office. The AR-15 is one of, if not the most popular type rifle in the United States. Its many advantages have made it the rifle of choice for millions of Americans. Dave Thompson already mentioned the rifle, because of its easily recognized profile, has a high intimidation factor. Most defensive uses of guns do not require a shot to be fired. That is exactly what happened in Dave Thompson’s incident. Thomas says he is also a firearms instructor. The same advantages that make the AR-15 a good choice for home defense make it a good choice for police officers. The AR-15 platform is one of the most commonly used by numerous police departments and sheriff offices around the country. Conversely, citizens have always looked to police for examples of what are reliable and effective firearms for defense of self and others. There are numerous choices of caliber and projectiles for AR-15 type rifles. 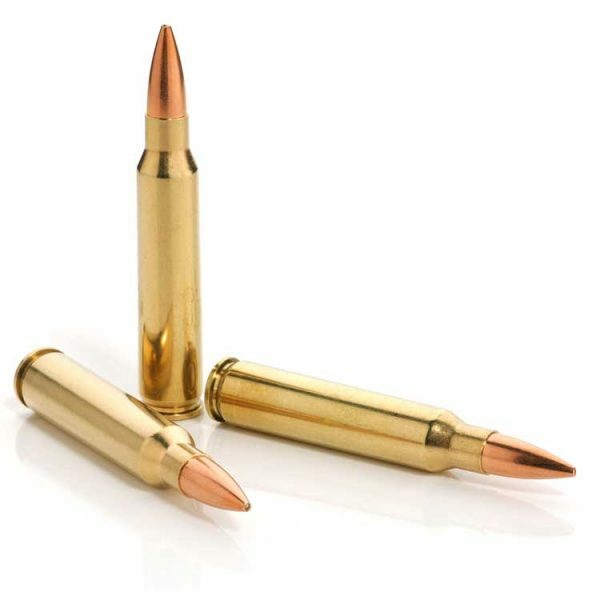 The most common caliber used by citizens and police alike is the .223 or 5.56 X 45 cartridge. While there are small differences between the two designations, most rifles will handle both cartridges interchangeably. The easy customization of the rifle, the availability of numerous accessories such as telescopic sights, lasers, bi-pods, stock configurations, muzzle brakes and suppressors all add to the appeal of the rifle. The ability to change the rifle to different calibers, with a change of upper receiver, is another reason for the popularity of the AR-15. Semi-automatic rifles have been common and legal in the United States for over a hundred years, but the AR-15 has come to be the American rifle for all. This post Firearms Instructor Uses AR-15 to Stop Knife Attack appeared first on AmmoLand.com . Mud-soaked GIs desperately field-stripping jammed guns in failing light. Businessmen-turned-bureaucrats facing off against dogged Pentagon officials in costly tangles of red tape. Meanwhile, a brilliant self-taught engineer struggling to maintain his invention’s integrity amid old-school bias. The story of the M16 is as dramatic and memorable as they come. No other gun so captures the human condition, where need, drive and ego met error, ingenuity and hard-earned survival. It’s a story to make your head ache, your heart swell and your eyes blink. And while it’s from decades past, it carries all the markers of an equally conflicted present facing technological leaps and political division. Most historians point to the Korean conflict as a change point in defining optimal firepower in battle and in turn, what was then termed the modern battlefield. U.S. infantry soldiers armed with World War II-era semi-automatic M1 Garands and M1 carbines quickly found themselves both outmanned and outgunned. An M1 semi-automatic rifle weighed 9½ pounds, was over 43 inches long and relied on en bloc eight-round clips of .30-06 ammo. It was powerful and accurate but no match for sheer numbers of enemy. An M1 semi-automatic carbine was lighter—just under 6 pounds—with a 15-round clip of .30-caliber carbine. The M2 carbine offered selective fire and a 30-round banana clip. However, neither was able to stop a swarming enemy. With lessons learned in Korea and the Vietnam conflict building, the Army knew it needed something better. The challenge was what that “better” would be and how it would be done. Gee, is that all you wanted? Why didn’t you just say so, right? Researchers at Aberdeen Proving Ground’s Ballistics Research Laboratories (BRL) had been analyzing the lethality of ammunition, looking at mass and velocity since 1938. This may seem like dry stuff now, but then, these were radical ideas. The range of rifle fire rarely exceeded 500 yards. Rifle fire was most effective at about 120 yards or less. The most lethal bullet would be high-velocity but small-caliber. Military rifles were effective only at 300 yards or less. Most kills happened at less than 100 yards. Small-caliber ammunition best performed the task. Soldiers aimed only the first of their eight M1 rounds. Despite aim, wounds inflicted in battle were not concentrated in targeted body parts but instead were surprisingly randomly distributed. Again, the answer seemed to lie not in a long-range, highly accurate step-stopper but in a weapon that would fire a small-caliber bullet with high-velocity lethality—many of them in fact. At first, the story seems simple enough. Reluctant to accept the idea of small-caliber efficiency, the Army basically remade the M1 into the M14 by attempting to make it fully automatic. The M14 had selective fire and a 20-round box magazine. It used the new 7.62x51mm NATO rounds, but that firepower still meant that a soldier on full automatic could aim only the first round. After that, recoil steadily forced the barrel up and up. To boot, it was long—over 44 inches long—and heavy, weighing in at over 10 pounds loaded. Nevertheless, the Army began issuing them in 1959 only to determine a few years later that their performance in the Vietnamese jungles just didn’t cut it when facing an enemy armed with AK-47 assault rifles. By 1963, the Department of Defense was seriously revisiting the M14’s former competition, a lightweight known as an AR. Yes. Revisiting. You see, the AR had been around for a while, but the casting calls for the high-performing outsider hadn’t gone particularly well. In the 1950s, the Fairchild Engine and Airplane Corporation decided to branch out into small arms. By 1954, ArmaLite was the start-up division, intent on designing and manufacturing a new generation of small arms from its base in Hollywood, California. Its first almost-sale was its AR-5, a .22-caliber bolt-action rifle designed for the Air Force. It weighed less than 3 pounds and could be broken apart to store the barrel and works in the plastic stock. It was to be the MA-1, but the sales never really happened. Wanting to be taken seriously, ArmaLite recruited Eugene Stoner to become its chief engineer. Using his past experience in the aircraft industry, he’d been experimenting with using strong yet lightweight materials for firearms. At ArmaLite, he started with the gas-operated AR-10, completing it in 1955. At barely 7 pounds, it shot 20 rounds of 7.62x51mm NATO and had anodized aluminum receivers and a fiberglass composite stock. To reduce recoil, the barrel was in line with the stock and the sites raised to eye level. While the newcomer’s novel construction failed to sway ordnance officials in 1955, it didn’t disappear. It was simply the first time it fell beneath the heel of the Springfield Armory’s T44—or M14. Meanwhile, General Willard Wyman, a West Point graduate turned four-star Commanding General of Continental Army Command (CONARC), was impressed with ArmaLite’s AR-10. In fact, he was so impressed that in 1957, he visited Eugene Stoner, invited him to try again and offered funding in exchange for proprietary rights to create the AR-15. Wyman is a name worth knowing in this context because he integrated the Trainfire program and its then-novel ideas of modern warfare—lots of ammo at terrifyingly close ranges—into the Army’s basic training. He even requested delays on the T44 decision to allow time for the AR-15 under development, but it was not to be. While Wyman ordered 10 of Stoner’s AR-15s, Secretary of the Army Wilbur Brucker publicly adopted the T44 as the chosen M14. Wyman, however, kept the faith, and Stoner and ArmaLite kept working. In 1958, Wyman ordered the Army to test his AR-15s. So, you ask, what were they testing? Stoner’s first AR-15 weighed just 6 pounds or so and was 37½ inches long. The hand guard around the barrel was Bakelite, and a three-pronged flash suppressor graced the tip of the skinny barrel. Crafted from fiberglass, hard-anodized aluminum and steel, the AR-15 design was gas-operated. It cleverly ported gas from the charge through a tube to force the bolt carrier to the rear and eject the spent cartridge so that a fresh round could load. Selective fire, it had a 25-round magazine but used the smaller caliber .22s, making it highly controllable whether set on semi-automatic or fully automatic. Because of the pressures involved, the AR-15 needed a stronger case. Aberdeen Proving Ground and Robert Hutton helped design the 222 Special—a 55-grain full metal jacket boat-tail bullet made by Sierra Bullet Company and loaded by Remington Arms. In operation, both the AR-15’s selective fire lever and its straight-drop magazine release were easily accessible from the pistol grip. All it took was the flick of a thumb or the press of a finger. The smaller caliber ammunition also helped with weight. Whereas an M14 and a standard 100 rounds weighed about 17 pounds, for the same load, you could carry an AR-15 and 280 rounds—nearly triple the ammo. A slick, light weapon plus plenty of rounds—what was not to like? New ideas can be problematic, and the AR-15 was no exception. In addition to General Wyman, several other personalities played significant roles in the M16’s path to service. Dr. Frederick Carten, head of the Army Ordnance Corps, wasn’t exactly enthusiastic about a small-caliber weapon made of plastic that felt—and looked—like a toy. By reputation, he was resistant to the idea of a small-caliber weapon developed outside of traditional channels—that is, Springfield Armory—using unproven materials like plastic and aluminum. He is often credited with obstructing the AR-15’s progress during testing and demanding modifications that degraded performance—primarily due to the Army’s distaste for a small-caliber weapon. 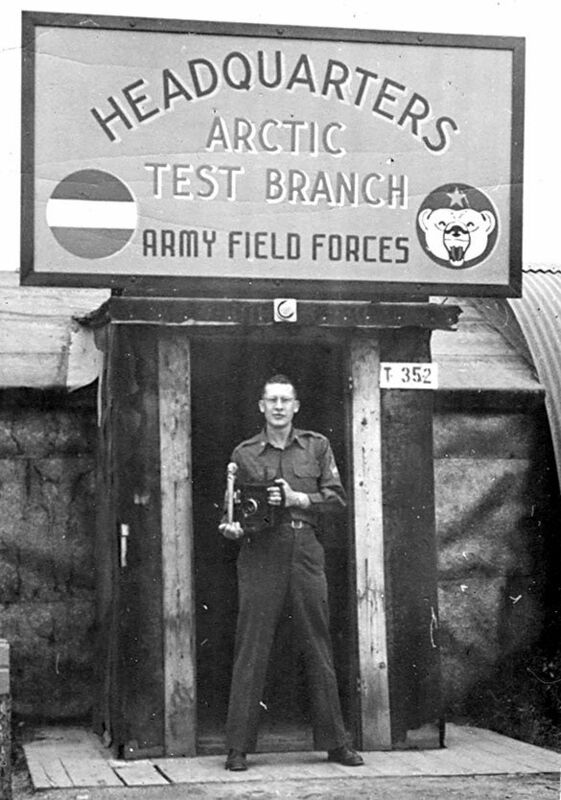 When the AR-15 was put to the test in the Arctic in 1958, for example, Army Ordnance’s words of the day were inaccuracy and malfunction. However, when Stoner flew to the location, he found that sites had been purposely disassembled and welding rods put in their place to misalign the firearm. A senior officer also put him on notice for trying to advance a small-caliber weapon that would surely endanger the soldier carrying it. 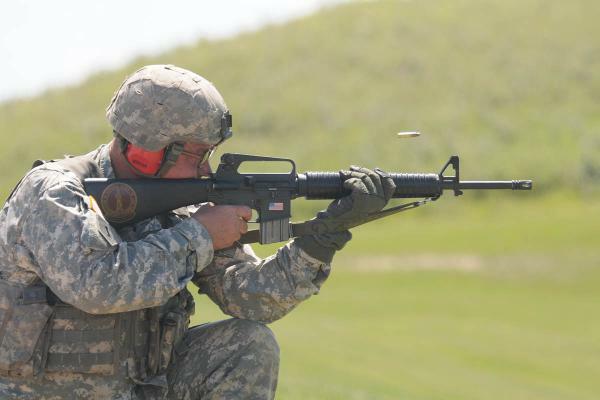 By the end of testing, Carten assessed that the AR-15 “had not demonstrated sufficient technical merit and should not be developed by the Army,” In 1959, Army Chief of Staff Maxwell Taylor decided to play it safe, following the Ordnance Corps’ lead, and the M14 continued its reign. The AR-15’s future was looking grim. Fairchild was unhappy with its nearly million-and-a-half-dollar investment. By the end of 1958, Fairchild had claimed losses well over $17 million. On February 19, 1959, Fairchild sold the exclusive manufacturing and merchandising rights for the AR-15 to Colt’s Patent Firearms Manufacturing Company for $75,000 and a 4.5-percent royalty on future sales. In addition, Colt agreed to pay Cooper-MacDonald—a marketing group with ties in Southeast Asia—$250,000 and a 1-percent royalty per weapon as a finder’s fee. No, I didn’t mess up any zeroes. A very discouraged and in-debt Fairchild sold its $1.5-million baby for bird shot. By the way, Colt was still in the black but not by much, so the AR-15 investment and partnership with Cooper-MacDonald would be a gamble. Interestingly, in May of 1959, three months after Army Chief of Staff Taylor’s announcement, a report from the Combat Developments Experimentation Center at Fort Ord in California surfaced. It detailed stunning simulated battlefield test results for the AR-15 and even proposed the “early replacement of current rifles”—the M14s—with AR-15s. Did Colt have a clue? Who knows? What we do know is that Colt put its sales reps to work and petitioned the Ordnance Corps for a retrial. Initially, Ordnance denied the request, but events continued to stir the pot. 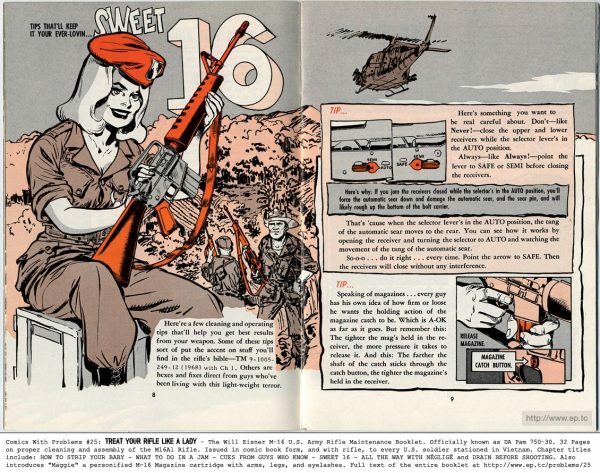 For one, Colt co-hosted a Fourth of July AR-15-meets-watermelon extravaganza in 1960 that impressed then-Air Force Vice Chief of Staff General Curtis LeMay, who had documented the need for a more effective small arms weapon. 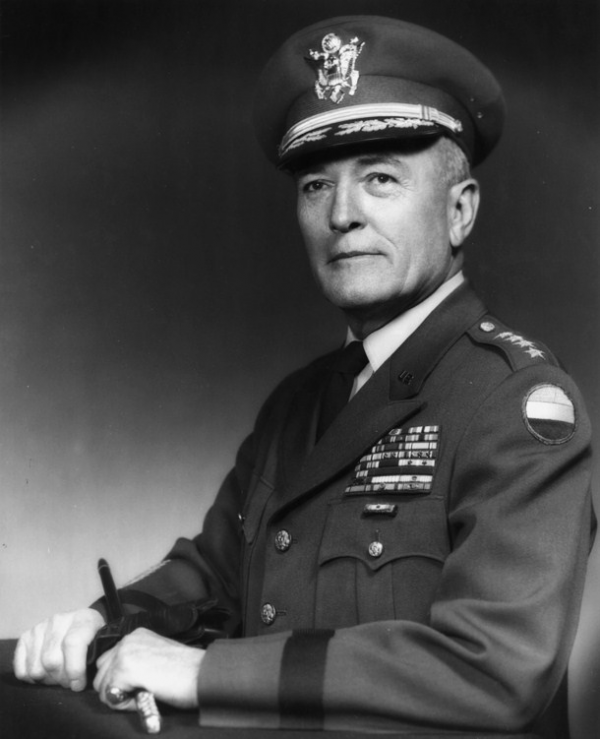 When he became Air Force Chief of Staff in the summer of 1961, he applied his $2-million budget to an order of 80,000 AR-15 rifles to be procured over the next five years. Despite repeated favorable tests, what should have been an in-house no-brainer met opposition from the Pentagon, the House defense appropriations subcommittee and even eventually President Kennedy thanks once again to Army Chief of Staff General Taylor and the Department of Defense’s penchant for one large-bore caliber. On May 15, 1962, Congress finally granted the Air Force’s request. The Air Force had its AR-15s within 72 hours. It included orders for more in its budgets for 1963, 1964 and 1965 for the 80,000 total—all this for a firearm it had formally adopted as its standard basic weapon on January 2, 1962. The Air Force was on board, but the AR-15’s story was still developing. In 1958, the Defense Department had created the Advanced Research Projects Agency — DARPA — to supply the military with game-changing technology. In 1961, DARPA launched Project AGILE to identify, fund or develop weapons that might prove effective for special operations in Southeast Asia. Initially, the troops liked it! They really, really liked it! That alone, however, wouldn’t be enough. 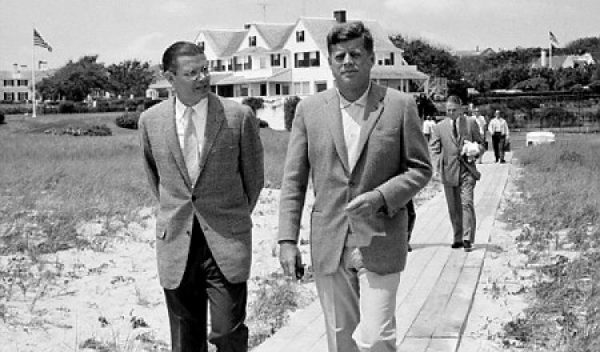 The M16’s story simply cannot be told without a nod to Kennedy’s Secretary of Defense Robert McNamara. He was aware of conflicting assessments of the AR-15 and the Ordnance Corps’ decided lack of impartiality. As a former Ford executive versed in assembly-line efficiency, he also was an avid proponent of having one universal weapon for all services. McNamara had authorized the Project AGILE shipment of 1,000 AR-15s to South Vietnam and along with his famous “whiz kids” had determined that the AR-15 should be that universal weapon. It also suggested reducing the M14 program while expediting further development of the AR-15. 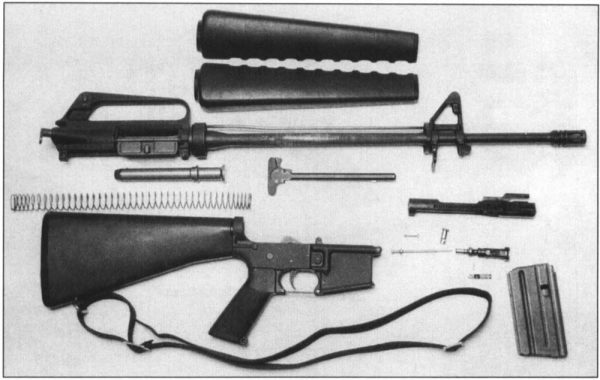 McNamara halted M14 production in January of 1963 and adopted the AR-15 in its current state as the weapon of issue for all services. McNamara designated the Army as the purchasing agent while ordering the services to cooperate. However, nothing is ever that easy. That word choice—current state—would come back to haunt everyone. Over the ensuing months, Ordnance, the services and McNamara’s staff haggled over more than 130 changes to the AR-15’s current state to launch the M16. 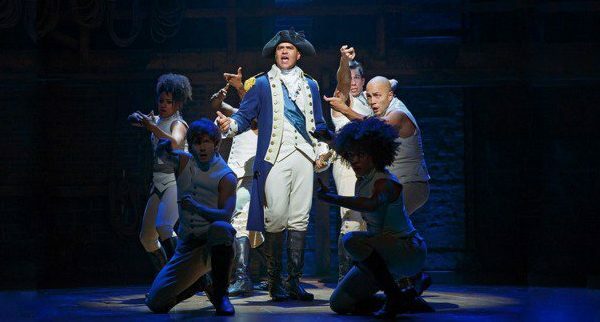 Key among them was that the Army insisted upon a forward assist that would allow a round to be forced into the chamber. Think about this a minute. If the gun jammed, the forward assist would give you a way to double down—likely on a dirty or fouled chamber that was causing the problem in the first place. Anyway, this resulted in two different models—the M16 and the M16A1 with a forward assist. The other significant change affected the ammunition. Stoner’s original design called for IMR 4475 propellant. 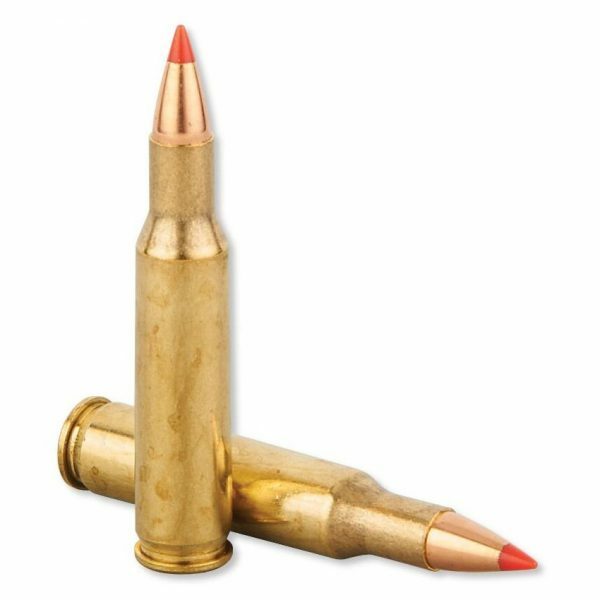 However, production issues and that overpowering military need for standardization and more oomph resulted in a 5.56x45mm M194 ball powder cartridge that burned brighter and reached peak pressure faster than the intended IMR 4475 stick powder. To compensate for the change in ammunition, the barrel was also altered from a twist rate of one turn in 14 inches to one turn in 12 inches. Despite these modifications and additional tweaks, other features of the weapon remained unchanged—namely, the chamber remained unchromed. Remember that these firearms were destined for the humid, steamy Vietnamese climate. 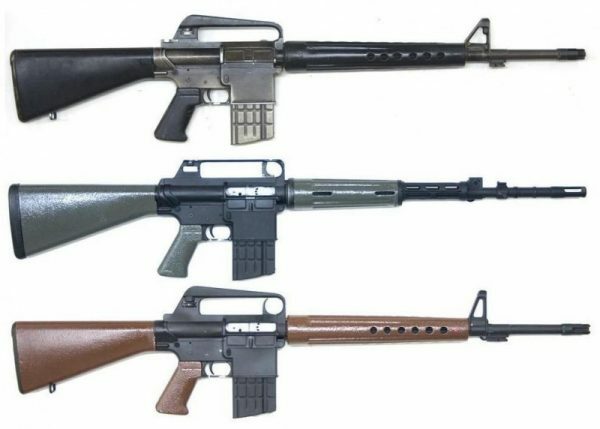 Nevertheless, at the beginning of November of 1963, Colt received a $13.5 million tasty government contract for 104,000 rifles—19,000 M16s for the Air Force and 85,000 M16A1s with a forward assist for the Army and Marines. Hooah! The AR-15 was all grown up into an M16. Now, was it ready to serve? 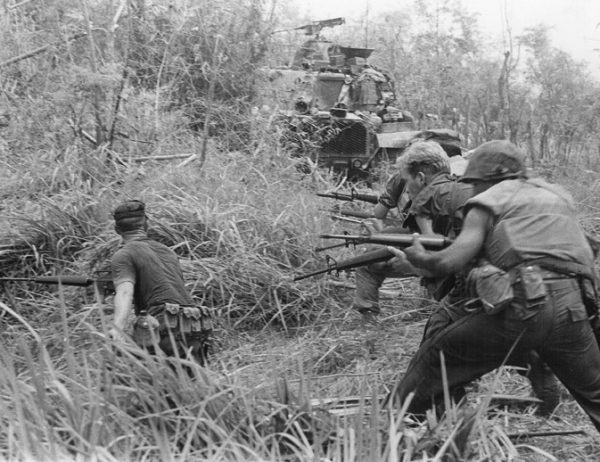 By 1963, the U.S. had between 15,000 and 21,000 advisers and special forces troops in Vietnam. So far, the approach had been special ops, paramilitary training and insurgency. However, the North was determined to expand its power base, and the South was ever more reliant on U.S. support as conflict intensified. When the USS Maddox and USS Turner Joy were attacked in the Gulf of Tonkin in August of 1964, Congress quickly passed the Gulf of Tonkin Resolution—giving President Johnson unilateral power to conduct military operations in Southeast Asia. 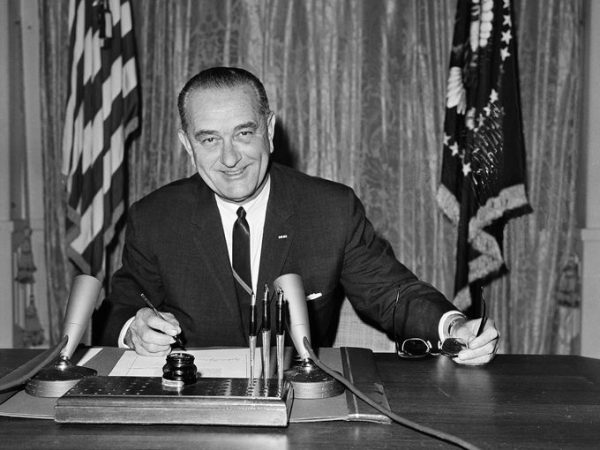 In February of 1965, Johnson ordered sustained bombing on targets north of the 17th parallel. In March, he dispatched 3,500 Marines. By January 1966, the U.S. had 200,000 troops in Vietnam and over the course of the year doubled that number. All of them needed guns, and Colt was supplying them, at one point turning out 45,000 M16s a month. 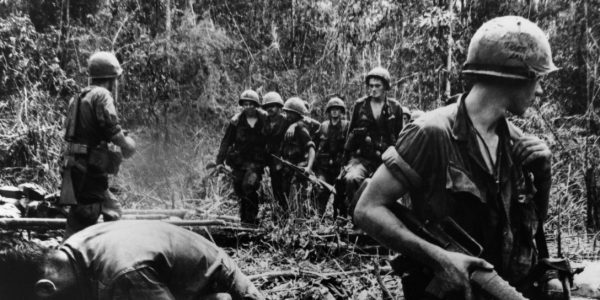 Vietnam became the M16’s crucible, and initially, the results weren’t pretty. The weapons became notorious for jamming—a soldier’s only option to field strip the M16 on the spot and hope to survive the experience. Pinned under enemy AK-47 fire, many tried, but it was an impossible task. In May of 1967, Representative James J. Howard of New Jersey presented a letter from a Marine detailing how soldiers killed in the battle for Hill 881 died because their M16s had jammed. 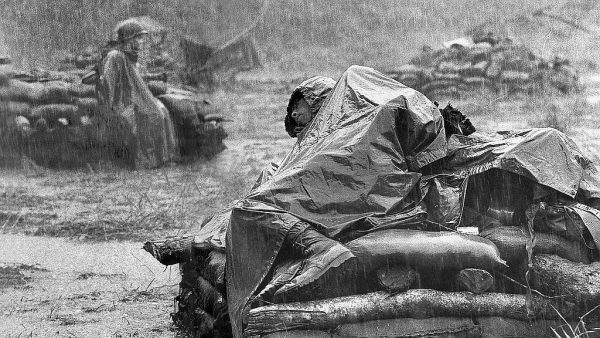 Additional reports of Marines found dead with cleaning rods in place to clear cartridges that refused to extract haunted the Hill Fights of Khe Sanh. Morale sank as survivors lost faith in the weapons that were supposed to protect them and instead left them vulnerable. In a letter, one soldier warned that “50 percent of the rifles fail to work” and cited “two Marines who died within 10 feet of the enemy, with jammed rifles” to prove his point. 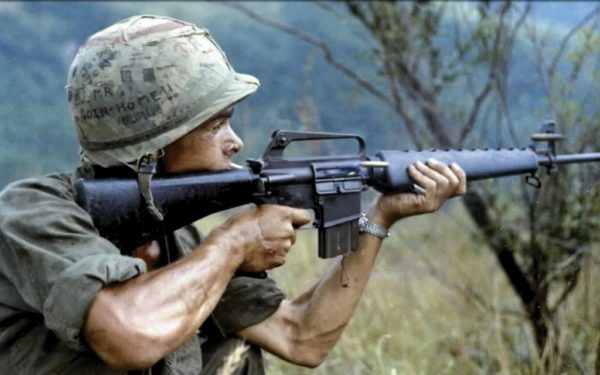 As the war progressed, time constraints meant that infantry troops often had insufficient training and experience with the M16 prior to having to use it. Making matters even worse, the firearm was initially touted as self-cleaning, with cleaning kits few and far between. The failures, however, were staggering, with 50-percent malfunction rates and countless requests for replacement weapons and ammunition. Estimates have attributed up to 90 percent of all malfunctions were due to failures to extract—that is, the bullet flew, but the cartridge remained stuck in place, jammed, and no forward assist was going to fix it. Something needed to be done—and fast. Numerous investigations began—some within Colt itself while others began within the Marines, Army and even Congress. Some—including generals—claimed nothing was wrong with the M16, going as far as to point the finger of blame and inadequacy at the soldiers themselves. I mean, using comics as a training substitute probably didn’t help, though. The ball powder burned too fast, fouling the chamber as it pushed the cyclic rate from 700 to 800 rounds per minute to more like 1,000. It was also moisture-sensitive, swelling or even bursting cartridges in tropical humidity. The seemingly cost-saving decision not to chrome-plate the chamber exacerbated the problem as the resulting rust, pitting and corrosion increased the likelihood of a malfunction. 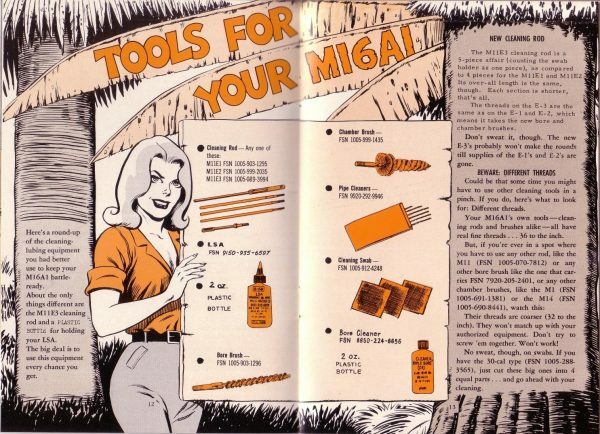 In answer, cleaning kits were widely issued for the once-supposedly self-cleaning rifles, and retrofitting M16s with chrome-plated chambers and then chrome-plated bores as well became a priority. Lighter firing pins replaced the original, heavier ones that were prone to unintentional slam firing. Weights and spacers added to the buffer eliminated the problem of cartridges struck but not fired and helped to slow the cyclic rate. Parts like the bolt and disconnector were strengthened to better withstand the high velocities and impacts involved. The more expensive 7075 T6 aluminum that Stoner originally intended to use for the receivers replaced the inferior 6061 T6 aluminum that corroded over time. 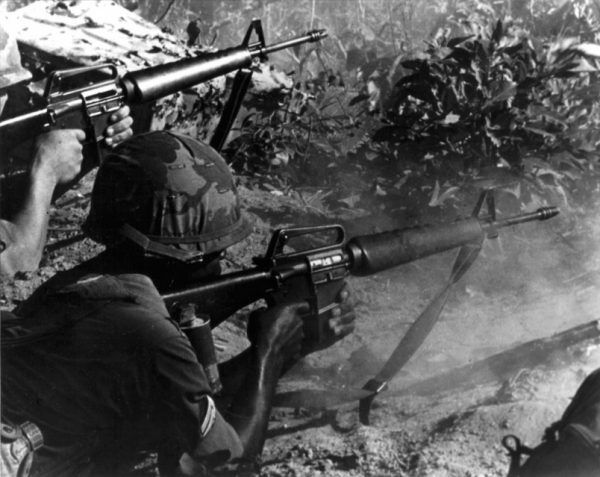 By 1968, the M16 was finally a gun that a soldier could take into action and depend upon. 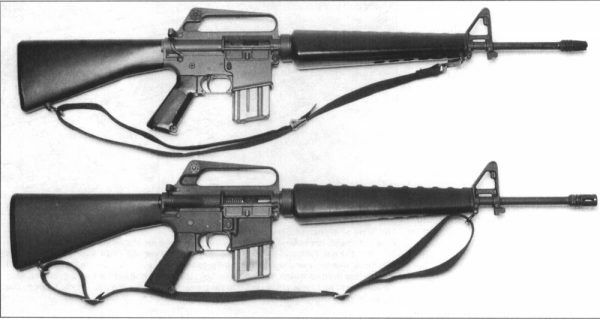 Throughout the M16’s development, ammunition played a key role, and that didn’t stop in 1968. In 1953, the 7.62×51mm NATO rifle cartridge—the round that both the M1 and Eugene Stoner’s original AR-10 fired—became the first standard NATO rifle cartridge. This was a large part of why Army Ordnance proved so resistant to Stoner’s AR-15. In 1977, NATO decided that it wanted a smaller caliber round to replace the 7.62x51mm cartridge. The .223 Remington was the inspiration, and the result was of Belgian design thanks to Fabrique Nationale Herstal and what came to be known in 1980 as the 5.56×45mm NATO round. 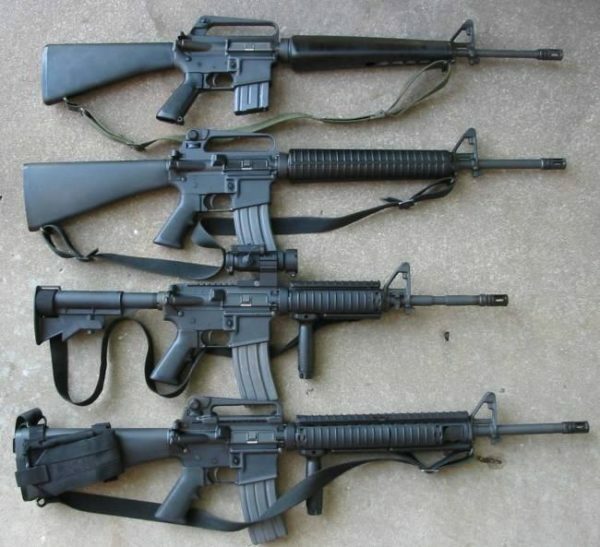 By 1980, the Marines were requesting modification of the M16A1 so that it could fire the 5.56x45mm NATO round. served as inspiration for its replacement—the M4. Each new development has demonstrated strengths and weaknesses, triumphs and flaws, yet as a whole, the story remains eternal. America is but one part of a world powered by conflict and but one player on an ever-changing battlefield. Innovation often comes at a price, with a learning curve and the impediments of bias. The M16 is a reminder of the dangers of a house divided against itself and the hope of what can be accomplished in unity. It is a reminder of the power of one gun in one soldier’s hands alone against an enemy who never entirely gives up or ceases to exist. 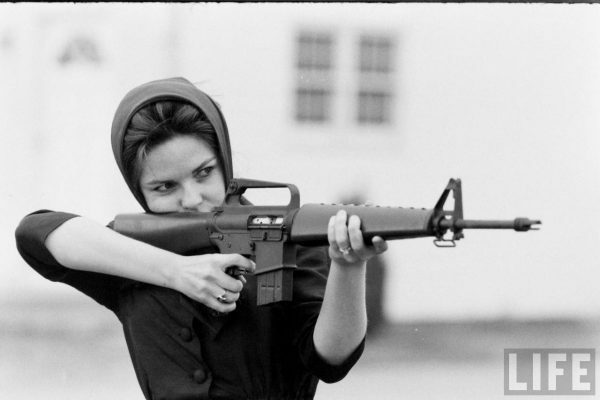 The post A (Not So Brief) History of the M16 appeared first on Pew Pew Tactical. You may wonder, every once in a while: How do I get great at StarCraft II? I cannot answer that question. But I can at least tell you how to be decent at it. With enough practice, anyone can become decent at StarCraft II. Unlike most other esports, competitive StarCraft II doesn’t require a team, which means you don’t have to share any of the glory (or frustration). A game usually takes around 15-20 minutes, and there’s no downtime. It’s never taken me more than 20 seconds to find a new match. Also, Blizzard just made StarCraft II free-to-play, so the only thing stopping you from getting decent at the game is time. If you do have that time, and you’re willing to put in the effort, here are some key tips I’ve accumulated over the years. This might seem obvious, but it’s not. Even if you’ve dabbled in StarCraft II, you might not be familiar with all of the new units and upgrades that Blizzard has added over the past eight years. If you stopped playing in 2014, don’t get caught off guard by a Viper or Disruptor. If you took a break in 2016, don’t try to load a sieged Siege Tank into one of your Medivacs. If you’re totally new to StarCraft II, start off with the single-player campaign and play some rounds of multiplayer against AI opponents until you’ve mastered all of the basics. Before you can make any sort of progress on the ladder, you need to know how to counter a Roach army and you need to memorize the nuances of MULE dropping and Chrono Boosts. Play some unranked matches with all three races, just to get a feel for their tech trees and unit compositions. It’s up to you whether you want to get decent at all three or just stick with one, but you need to be able to recognize every unit in the game. The best way to learn how to play StarCraft II is to watch other people play it. You can learn a lot from pro matches, although the nomenclature for professional tournaments can be confusing. Team Liquid is a great site for keeping up with this stuff, thanks to their weekly roundup of news and matches. For starters, try this Team Liquid thread rounding up some of the best games of 2017. Sean “Day9” Plott has stopped playing StarCraft II (RIP), which is too bad, because his “Day9 Daily” videos were the greatest resource for anyone who wanted to get decent at the game. They’re still good resources, but because they were made in 2010 and 2011, they’re full of outdated information. For a more recent take, check out the player Pig. At the beginning of every StarCraft II match, you’ll have some key goals. You’ll want to get your economy started, you’ll want to build the foundations of your army, and you’ll want to expand to the resource patch right outside of your main base (this is called your natural). To do all this efficiently, follow a specific build order. The numbers on the left refer to your current unit supply count, with the assumption being that you’re pumping out workers the entire time in addition to these buildings and units. When you enter the game, start building SCVs. Once you’ve finished two of them, send one to build a Supply Depot near the entrance to your base. Then a Barracks. And so on, and so on. Your build order can and should be flexible. Don’t be afraid to change things up if your opponent decides to go all in, or tries to build Photon Cannons in your base. It’s just useful to have a blueprint for where you’re heading. This might be the most important thing you can do in StarCraft II. If you are spending all of your money, the chances of you winning are significantly higher. If you’ve got more than 1,000 minerals in your bank, you’re doing something wrong (unless your army is already maxed out). I was recently playing a Terran vs. Terran match against someone who kept getting the best of me. At one point his tanks caught my Marines out of position; another time, he successfully took out my harassing Liberators and Medivacs without losing a single worker. Despite these setbacks, I somehow wound up with a larger army than him, and I wound up winning. When I watched the replay later, I figured out why—my macro was better than his. It didn’t matter that I was losing the micro battle, failing to react properly during a few individual skirmishes, because I was better at spending money and ensuring that my production facilities were ALWAYS pumping out units. This is not simple to pull off. When you’re focusing on scouting, harassing, or attacking your opponent, it’s easy to lose track of your Starports and Factories, or forget to upgrade. But if you want to get decent at StarCraft II, you have to spend all your money. Losing a few battles won’t hurt nearly as badly if you have a stream of fresh units trickling in. In order to ensure you’re spending all your money, you’ll need to produce units without having to waste time zooming back and forth between your army and your base. The solution is a magical tool called the hotkey. Pressing CTRL and a number will assign any selected unit or building to that number. Pressing SHIFT and a number will ADD any unit or building to that number. This is essential. You can’t be decent at StarCraft II without hotkeys. Every building and unit also has built-in hotkeys that are very easy to learn. You can train SCVs with S, for example. So if your Command Center is set to 1, you need to get into the rhythm of hitting 1S every few seconds, to ensure you have a constant stream of workers. I usually have my main armies set to 2 and 3 while my production buildings are set to 4 (Barracks), 5 (Factory), and 6 (Starport), but your mileage may vary. Just pick whichever hotkeys you’d like. The more you play, the better rhythm you’ll find. 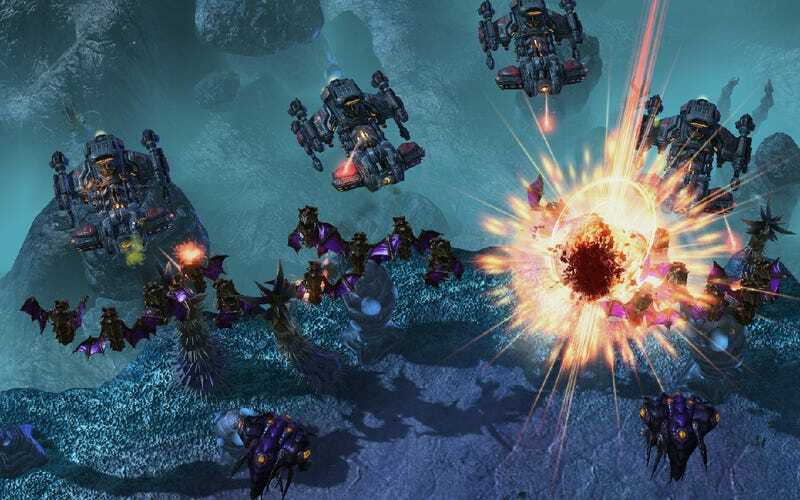 More than anything, StarCraft II is about muscle memory—if you’ve trained yourself to be building workers, army units, and upgrades constantly, you’ll wind up being decent at the game before you even realize it. The next step in your quest for StarCraft II decency is learning what your opponent is doing. By this point you know how to counter units, so now it’s important to understand which of those units are coming, and when they’re going to show up. A single cloaked Banshee can decimate your entire base before you know it’s there, unless you had an observer in position to see your opponent’s Starport (with Tech Lab) so you could build Photon Cannons in preparation. Each race has its own best strategies for scouting, and once you’ve gotten the rhythm of your macro down, learn how to properly anticipate your opponent’s moves. StarCraft II is nice enough to let you go back and watch any match you’ve played, and you should really take up that offer. The best way to get decent at the game is to identify and eliminate your weaknesses, and the best way to do that is to watch your own games, even if it is painful to realize you accidentally left a siege tank sitting at the bottom of the map the whole damn time when you just needed to hold off that one group of Zealots, goddamnit. I recently played a match as Protoss against a particularly aggressive Terran player who caught me off guard with a big army of Marines just as I was getting up my second base. Instead of freaking out as he took out a bunch of my workers, I turtled up and calmly started making an army, setting up a chokepoint with Stalkers so he couldn’t get into my main. By staying focused and trying to salvage the situation, I won the game. 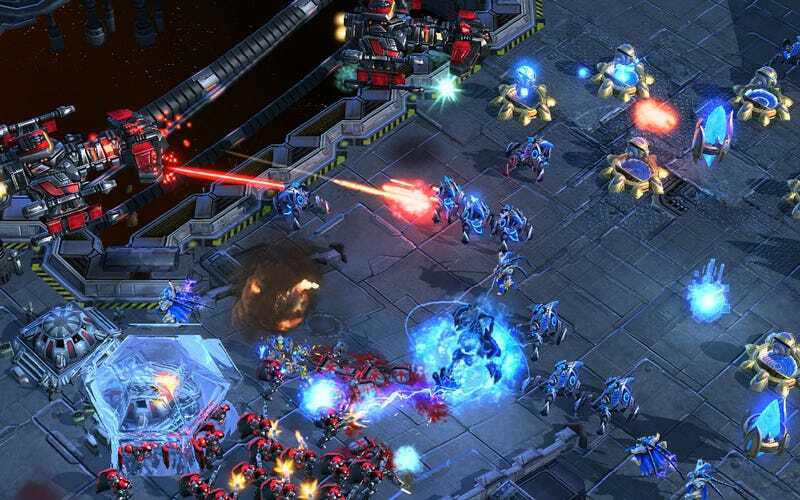 The biggest mistake you can make in StarCraft II is freaking out when something goes wrong. Things will always go wrong. You’ll always lose a few workers to your opponent’s harassment, and you’ll always lose a couple of battles that make you think that the game is over. Sometimes it is. If you take a deep breath, you stick with your macro, and you adjust to whatever challenges come your way, you might even be decent enough to come back and win. Bank of America Pressures Gunmakers To Do Something About “Assault Rifles.” Or Stop Doing Something. Or Something . . .
Bank of America wants to talk to gun makers about assault weapons cnn.com reveals. “I spent my whole life trying not to be careless,” Bank America CEO Brian T. Moynihan told BOA clients who manufacture modern sporting rifles. “Women and children can afford to be careless, but not men.” Wait. That was Don Corleone in The Godfather. But you knew that because . . .
“[A]n immediate step we’re taking is to engage the limited number of clients we have that manufacture assault weapons for non-military use to understand what they can contribute to this shared responsibility,” the statement . . . reads? Warns? Promises? Nothing good. Bank of America’s statement follows a New York Times editorial calling for the financial industry to push back against “the massive gun lobby” by refusing to process firearm sales through its credit cards. Meanwhile, Blackrock is making equally ominous noises towards American Outdoor Brands (a.k.a., Smith & Wesson) and Ruger, two companies in which the world’s largest asset manager (not unfamiliar with insider trading) maintains a significant shareholdings. And the number of companies distancing themselves from the NRA continues to grow. Since Thursday, a wave of companies — including United and Delta airlines, Metlife and six car rental brands — have abandoned the National Rifle Association. They’ve pulled discount deals they used to offer to NRA members, and one local bank in Omaha pledged to stop issuing an NRA-branded Visa card. None of those companies gave specific reasons for parting ways with the NRA, but their announcements came as the hashtag #BoycottNRA flooded social media. Letters to the AmmoLand Editor: Got something on your mind? Let us know and you can see it here. USA – -(Ammoland.com)- President Trump held a “listening” session at the White House with mass shooting survivors, students, their parents, relatives and friends. Many constructive suggestions were offered, especially the corrective measures implemented in the aftermath of the Sandy Hook school massacre. Few demonized guns. Most focused on mental illness, school security, lack of enforcement of existing gun laws and why “see something, say something” frequently slipped through the cracks. Many ideas will be implemented, as President Trump pushes his school safety agenda forward…..with or without Congress. If then-president Obama, Senators Chris Murphy-D-CT and Richard Blumenthal -D-CT did more than bloviate at their Sandy Hook Photo-Op there might not have been the shooting carnage at the Broward County Parkland School that left 17 dead and scores of bereaved. This post President Trump’s School Safety Listening Session ~ VIDEO appeared first on AmmoLand.com . 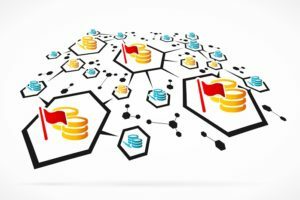 In this blog post, I’ll look at how to make Percona XtraDB Cluster and SELinux work when used together. 2018-02-08 16:58:48 7910 [ERROR] WSREP: Failed to prepare for 'xtrabackup-v2' SST. Unrecoverable. The donor node error log also failed to give any information to debug the issue. After spending a few hours on the problem, one of our developers (Krunal) found that the error is due to SELinux. By default, SELinux is enabled in Vagrant CentOS boxes. 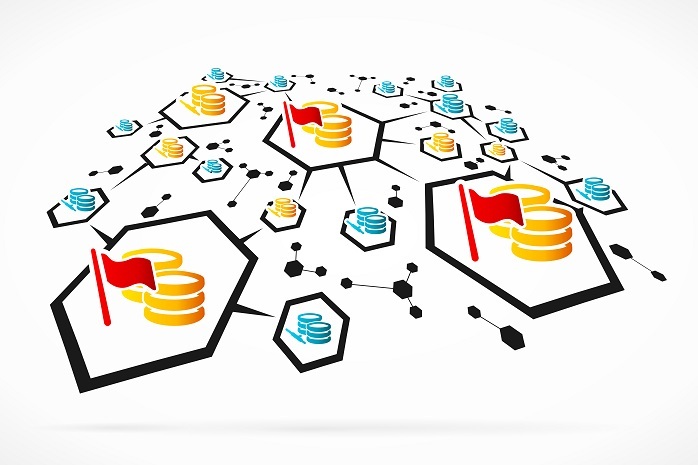 Disable SELinux on all nodes to start Percona XtraDB Cluster. The Percona XtraDB Cluster development team is working on providing the proper error message for SELinux issues. USA – -(Ammoland.com)- The evangelist Billy Graham died Wednesday at his home in Montreat, N.C., his family has announced. He was 99. Born in Charlotte, N.C., Graham was ordained a Southern Baptist minister in 1939. During his work in ministry, he wrote more than 30 books and conducted the annual Billy Graham Crusades until his retirement from active ministry in 2005. His last book, Where I Am: Heaven, Eternity, and Our Life Beyond the Now, was published in 2015. Dr. Robert George, a professor at Princeton University and a former chairman of the U.S. Commission on International Religious Freedom, compared Graham to St. John Paul II and other religious figures, saying that while he was “firmly rooted” in his denomination, Graham was able to reach all people. Reverend Graham left us many moving video sermons that are worth watching, including his last message to the world. God bless the Reverend Billy Graham. This post Remembering Reverend Billy Graham ~ VIDEO appeared first on AmmoLand.com .